A journey to discover the initiatives of the PIME missionaries and the Missionary Sisters of the Immaculate in this small African country, carried out with the help of supporters and sponsorships. The plane from Casablanca landed in Bissau, one of the poorest cities in Africa and the capital of Guinea Bissau, in the night of November 4th. In twenty days I had to see all the missions and related development projects and remote support organized by PIME in Guinea Bissau. In the afternoon we set out immediately for the Bijagós islands. Five hours of sailing with Fr. Luigi Scantamburlo, PIME. 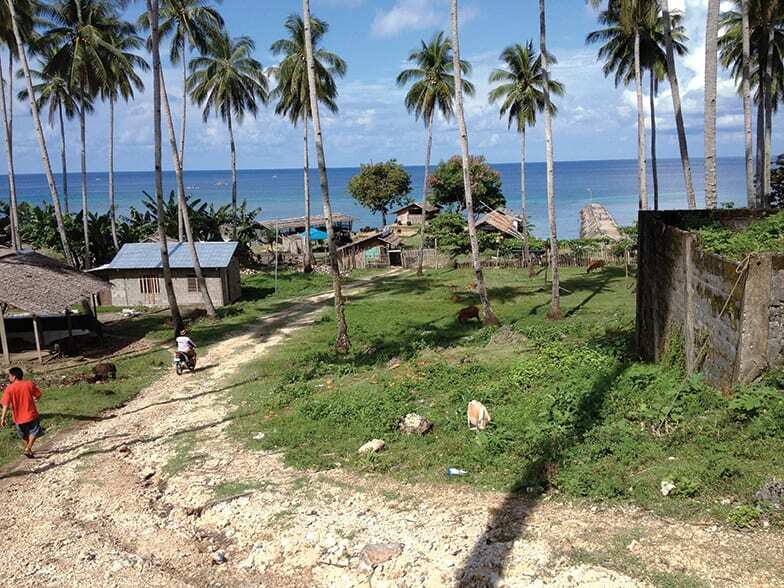 These islands have been his homeland since 1975. 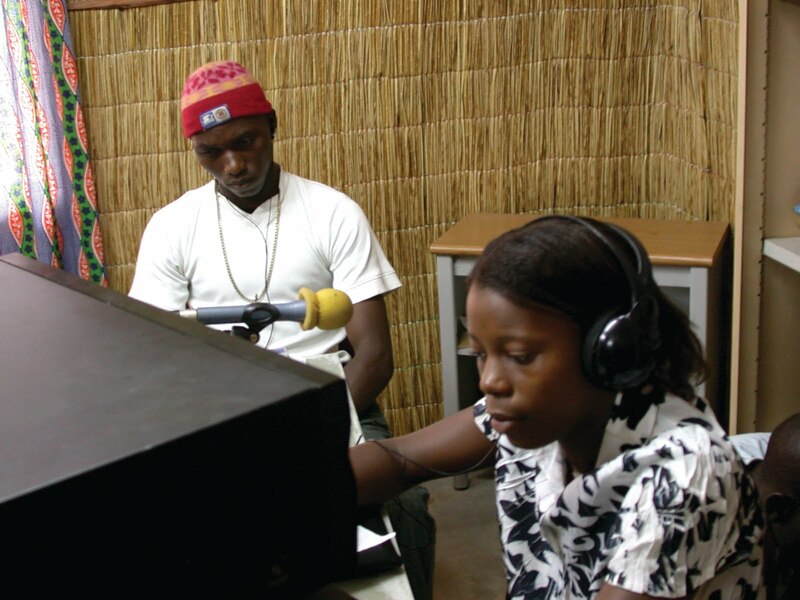 In recent years, however, he has been focusing on a single goal: education for all as an essential tool for development. There are about 400 students in his bilingual schools, where teaching takes place in the local language and only in the fifth grade is integrated in a meaningful way with official Portuguese. This is a concept promoted in the past also by Fr. 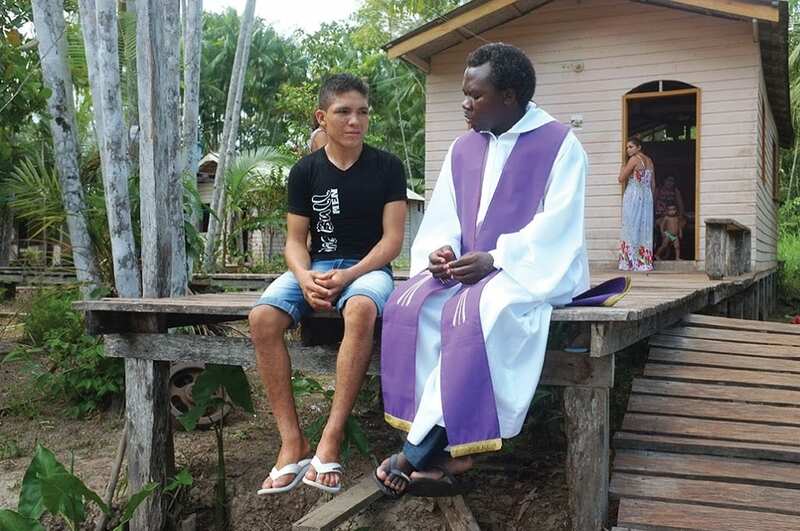 Roberto Donghi, PIME, who himself worked in the Bijagós Islands, and before that at Catió, in the south of the country and has been now replaced by Fr. Fabio Motta, PIME. Things are going well because Fr. Fabio designs new classrooms in the villages where the mission runs “self-managed” schools directly in the hands of village leaders, who monitor student attendance and keep in touch with their families. With a government subsidy for teachers and one from the mission; for the building of classrooms, student support, and a small financial supplement to the meager salary of the teachers, things are moving along nicely. The Missionary Sisters of the Immaculate run schools of this type in the villages around Mansôa. Specifically the school is at M’Panquinha. There we find students wearing beautiful sneakers, provided to them by PIME Milan’s Run4Peace Campaign last year. Many kids come to school here on bicycle from Bissorã and their new tennis shoes come handy; otherwise they would have to pedal and brake barefoot. Here we find no shortage of evidence of the good that the PIME missionaries did, and are doing for these children and students. 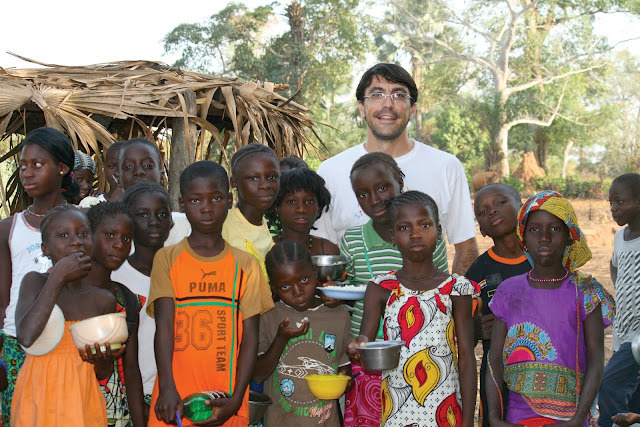 Including those with disabilities who are welcomed at Casa Bambaram in Bissau. Here they welcome the disabled as well as displaced twins: two groups at risk here in Guinea Bissau because of ancestral beliefs in Iran (evil spirits in the case of disabled persons) or because of the custom of breastfeeding and helping only one of the twins to survive. At Bafatá, the second diocese in the country run by Archbishop Pedro Zilli, a Brazilian member of PIME and, an hour later by car, at Gabú, we visited the only two Casa de Mais (House for Mothers) in Guinea Bissau, where women in labor with at risk pregnancies come from the most remote villages to receive the greatest possible prenatal care. Fr. 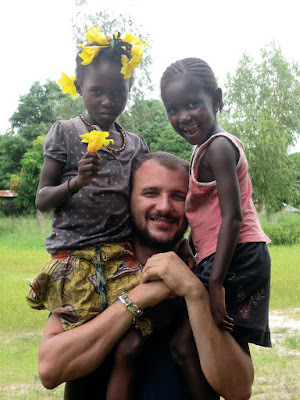 Alberto Zamberletti, superior of PIME in Guinea Bissau, is also a doctor and has worked in this area for twenty years, since he was a young missionary. Fr. Zamberletti says that these two Houses for Mothers are among the finest efforts of the Catholic Church. The presence of the Church in this country is small, but much appreciated for two reasons: the social work of human development and commitment to national reconciliation promoted by the bishops of Bissau in times of political unrest or even civil war, such as in 1998. “A voice for peace in Guinea Bissau” is also the tagline and the slogan of Radio Sol Mansi, which broadcasts throughout the national territory. It is the brainchild of Fr. David Sciocco, PIME, but now local staff runs it, always with a little support from PIME, and the presence of Sister Sandra Bonfanti, Missionary of the Immaculate, as Assistant Director. “Don’t forget the Bor Clinic,” Fr. Zamberletti reminded me just before I left for Milan. It is the children’s hospital São José em Bor in Bissau, built in memory of the sorely missed Fr. Ermanno Battisti, who died on January 3, 2015. This hospital keeps operating on the heroic commitment of Dr. Pina Torcaso Zordan (a retired Italian doctor) and Dr. Dionisio Cumba (a Guinean pediatric surgeon). Three volunteer organizations based in the cities of Rho, Vigevano, and Brescia (all three in the Lombardy Region of Italy) support the hospital alongside PIME. 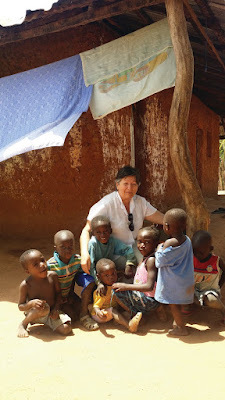 It is a children’s hospital that, in the dismal poverty and backwardness of Guinea Bissau, often must treat adults as well, missionaries included.